Wyman Piano was on display at the 49th Annual Piano Technicians Guild Convention and Technical Institute recently convened in Rochester, NY, June 21 - 24. 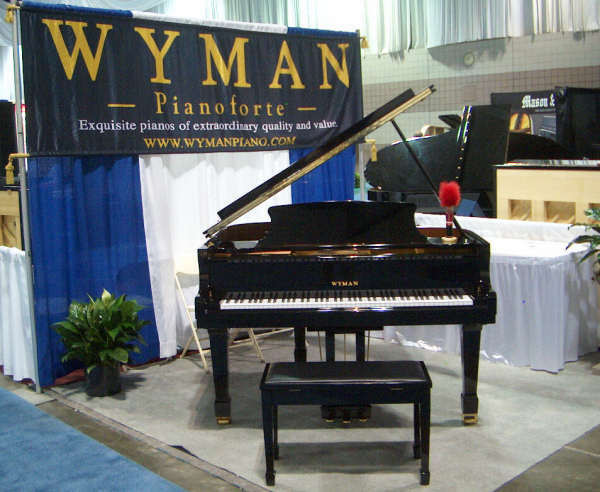 More than 700 registered piano technicians from all over the United States had an opportunity to view new Wyman pianos during the four-day convention. For many PTG technicians, this was the first time they were able to experience the quality and performance of Wyman pianos first hand. The company exhibition featured the new Wyman 4' 9" baby grand piano, Model WG145 in polished ebony finish. This sturdy instrument is as durable as it is beautiful, and performs very well given its small size. It is part of the Wyman line that is comprised of four grand models and six vertical models. During the institute & convention, the PTG invited students from the world renowned Eastman School of Music to tour the exhibit area. Ms. Sui Yan, an Eastman doctoral student in piano performance, visited the Wyman booth and purchased the WG145 grand piano for use in her dorm room at the school. The piano was sold by Music Lovers, the local Wyman Piano dealer in Rochester. 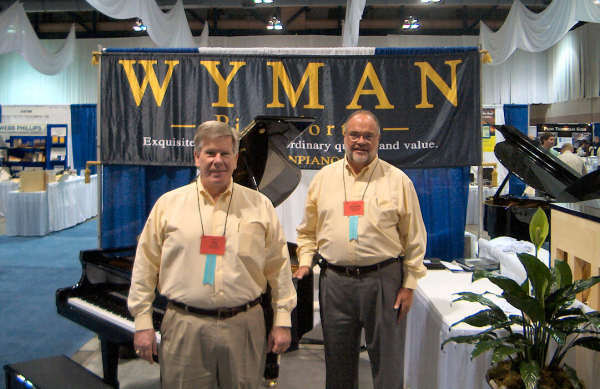 George Benson, national sales manager for Wyman Piano Company said, "We wanted to take Wyman pianos directly to the piano technicians, giving them an opportunity to personally experience the quality of workmanship and sound of our pianos." "Piano technicians responded enthusiastically, and were further impressed when learning that Wyman pianos are entry-level instruments," said Tim Laskey, Wyman president. For more information, contact George Benson, national sales manager, at 941.661.0200 or at george.benson@wymanpiano.com. "Exquisite pianos of extraordinary quality and value!" ©2011 Wyman Piano Company. All rights reserved.